SOMALIA, HUDDUR 23.05.2006 PHOTO: ESPEN RASMUSSEN Huddur in the southwestern parts of Somalia. The country has been without any functionel government, any healtcare or schools since 1991. There is a high level of violence in the area, with regular clashes between different clans. One of totally ten Koran schools in Huddur. Children aged between 6 and 13 years learn to read and write verses from the Koran. 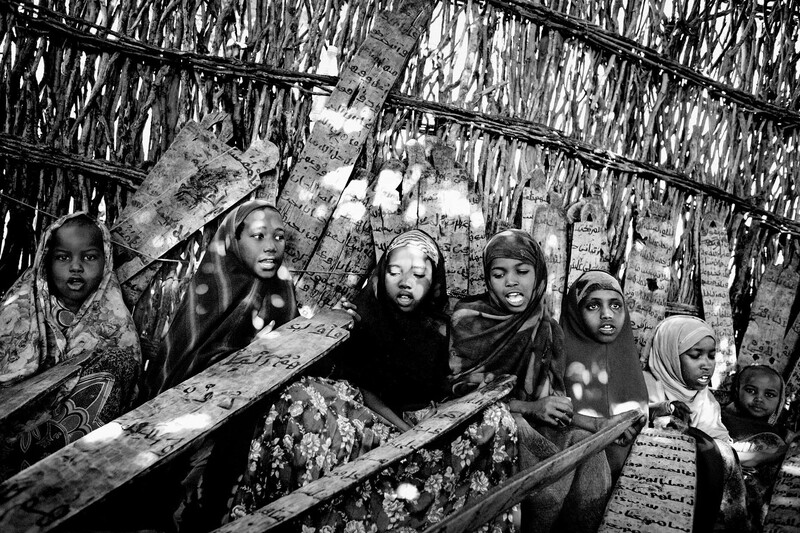 They participate for at least two years, and it costs the parents 5 000 somali shilling a week.